Being initially popular in Asia and Western Europe, Escape room games have started to gain much popularity all around the world. 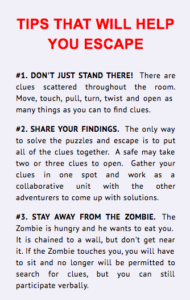 Escape room games provide one the perfect opportunity to feel like an action movie character who has to solve a riddle and escape before their adversaries arrive leading to an unfavorable scenario. So where to play escape games? Just decide on an area of the world and get started! One of the most exciting places in the world to be, the bustling multicultural city of Toronto have picked up this gaming trend from Asia and ran with it. Now escape room games have very quickly become a commonplace for the residents and tourists alike. A global company, they’re about to launch a new game that doesn’t have any words involved! This is a worldwide franchise with great games! Although New York City has quite a few popular escape room games, Los Angeles is the true hub of escape room games in the United States. People in Los Angeles are so hooked to this global adventure that they have a large variety of Escape Room games, differentiated into categories, throughout the city. This one has even popped up on the reality show, The Bachelorette! Looking to take the adventure to the country of Kings and Queens? Well worry not, we have got you covered. London’s growing collection of escape games has gained a lot of attention from the locals and the tourists. This has caused the escape room games enthusiasts visiting London to at least try one of its fine escape rooms. Escape experience set in WWII’s London of 1945! This escape adventure takes you all over pubs of London! Situated in Asia, Malaysia enjoys the fact of being one of the first countries where Escape Room games became a hit. A tourist attraction since , it attracts Escape Room enthusiasts from all around the world due to its unique and exciting Escape Room games facilities. An adorable logo for Lockdown KL! So Where to Play Escape Games? While there are a few options here in this post, this is just the beginning. There are hundreds, thousands of escape room games around the world to choose from.